Hi Everyone, Here we are at week 40, and the colour is..........................Powder Pink. I do like pink as a colour but I'm not that keen on the very light pinks. but all the same it is still a pretty colour. 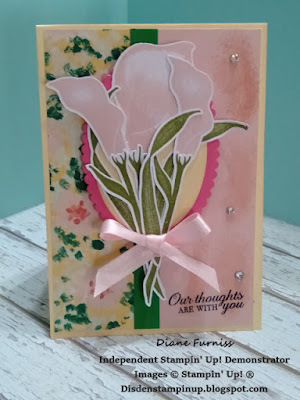 I decided to use the Lasting Lily stamp set for this card and I was quite happy with the results. 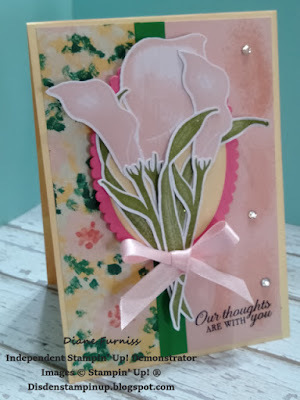 I stamped the flowers in Powder Pink and the leaves in Old Olive before cutting them out and mounting them on to the front of a Very Vanilla card. 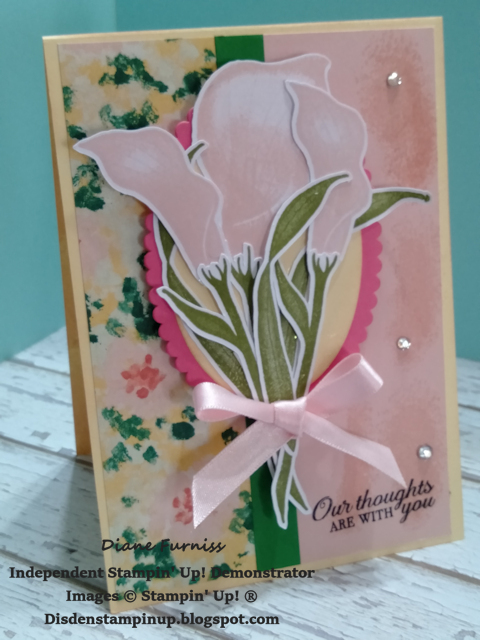 I used a small piece of Powder Pink card and a piece of Garden Impressions DSP along with the largest scalloped oval in Melon Mambo. I think the ribbon set off the front of the card along with the clear rhinestones. I placed very think foam pads behind the to smaller lilies and the front leaf just to give is a small amount of height as I have put the Ovals on normal foam pads. 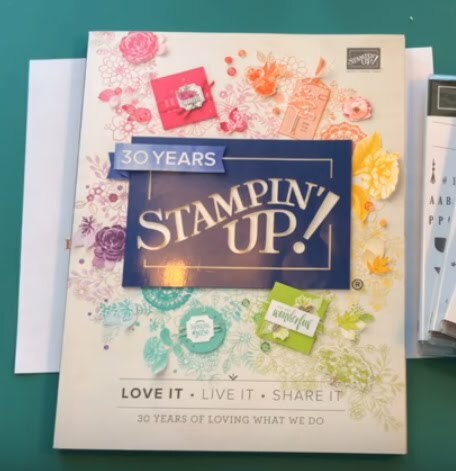 All of the items used in this project can be found in the 2018 - 2019 Annual Catalogue and the 2019 Sale-A-Brations catalogue (Please be quick if you would like the Lasting Lily as this promotion ends on the 31st March 2019. Beautiful card Di.I really like your colour combination and the dimension in your project as well. 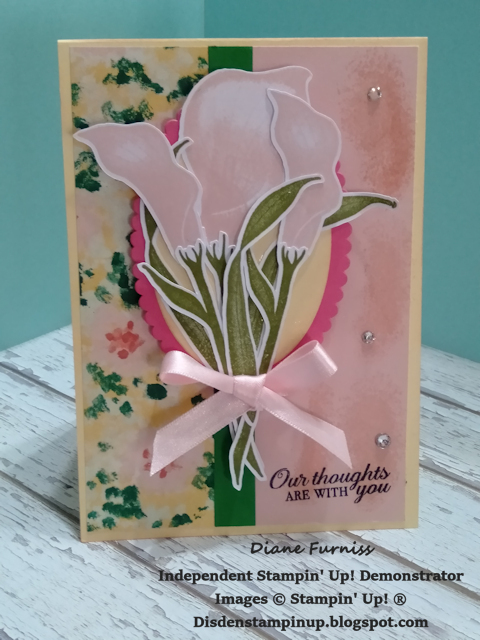 Beautiful Diane - love how that little piece of Melon Mambo just makes the lillies pop even more and nicely ties in with the DSP. 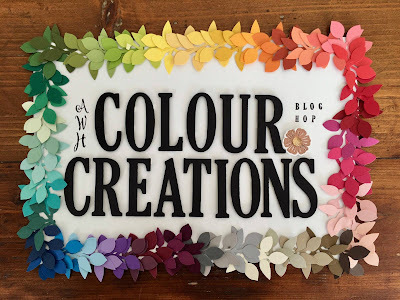 Great colour palette. Lovely card Diane. I like how you've used the colours from the DSP in your card. Lovely soft and feminine lilies, Di and I agree that the scallop oval in Melon Mambo really lifts it! Oh wow, the lilies look amazing in the Powder Pink! Fab card!